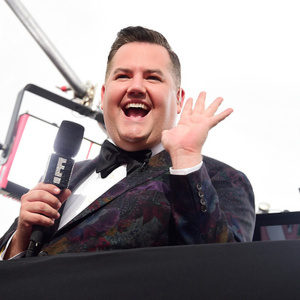 How much is Ross Mathews Worth? Ross Mathews net worth: Ross Mathews is a television personality who has a net worth of $2 million. Ross Mathews has earned his net worth through his many television appearances as commentator, host, panelist and more. Mathews began his career with the Tonight Show with Jay Leno, as an intern and has since covered the Winter Olympics, the Academy Awards and many more television broadcasts. He has appeared on such shows as E! Celebrity Fit Club, as a weekly panelist on Chelsea Lately and on the game show 1 vs. 100 on NBC. In 2009 Mathews hosted the web show "Inside Dish With Ross Mathews," with The Insider. He has also made appearances on the daytime soap opera "Days of Our Lives" as well as several television shows such as "Love or Hate," as a guest host on "The View," the fourth episode of "Interior Therapy with Jeff Lewis" and several more. He has also co-hosted the Academy Awards, Screen Actors Guild Awards, Golden Globe Awards and the 2010 Emmy Awards. He has also been in several skits on The Tonight Show. Ross Mathews was born in Mount Vernon, Washington in 1979 and attended the University of La Verne in La Verne, California. He has been in a relationship with Salvador Camarena since 2008.